That Dog Is Super Cute, But Can He Breathe? With those perpetually pouty mugs, scrunched-up noses and hanging jowls, dogs with flat faces are undeniably cute. 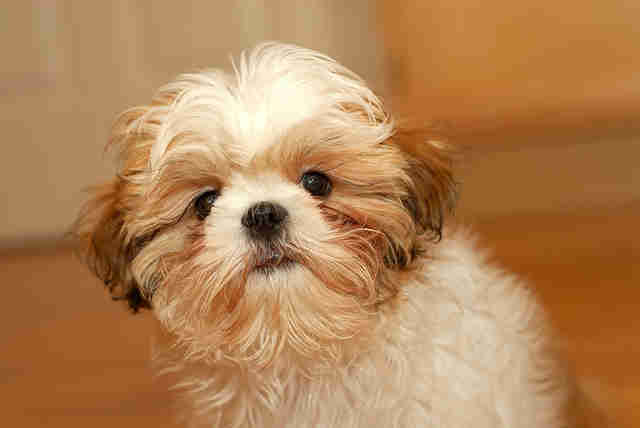 The problem is, breeding dogs to have flat faces causes numerous health problems that could easily be avoided. 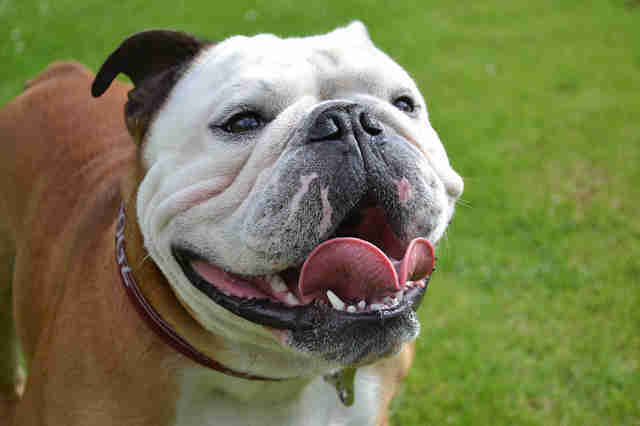 Flat-faced or flat-nosed dog breeds, also known as brachycephalic breeds, are prone to a variety of conditions that affect their breathing and ability to live long, healthy lives. The conditions caused by the flat face are collectively known as brachycephalic obstructive airway syndrome (BOAS). BOAS is sort of a blanket term referring to the various upper airway problems found in the these dogs. 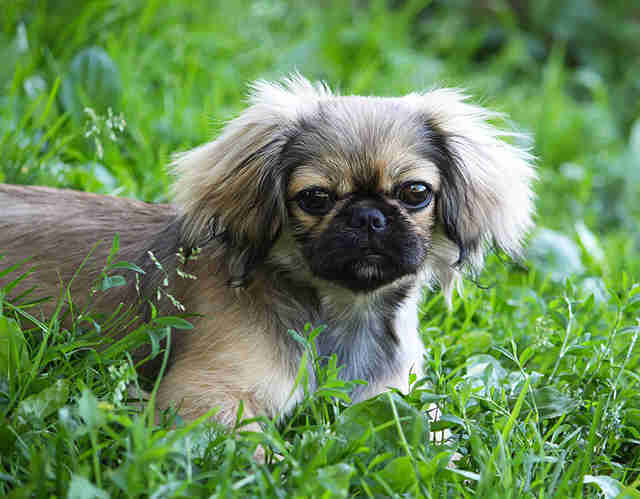 These breeds include English bulldogs, boxers, Pekingese, pugs and Shih Tzus, among others. Their shorter skulls and flat faces are the result of decades of selective breeding for what some consider "desirable" traits, and goes directly against the ancestral, natural shape of a dog's head. BOAS can occur in any breed that has a flat face or nose, though it's more common in certain breeds, like pugs, who all suffer from BOAS. BOAS is caused by deformities in the dog's internal structure due to the shape of his skull and nose. These deformities include nostrils that are too narrow to breathe through properly, obstructed or collapsed voice boxes, elongated soft palates and abnormally small windpipes. Not each of these will occur in every breed or every dog, but finding at least one is common. While some symptoms of BOAS - like snoring or noisy breathing - are mild, there are larger problems, too. Dogs with BOAS can also experience difficulty eating, rapid breathing or panting, coughing, gagging and difficulties with physical activities. Particularly, these breeds easily overheat in warm temperatures because their condition doesn't allow them to cool themselves off as effectively as they should be able to. And the breeding is only getting worse. As the faces and noses get flatter, issues with BOAS are popping up earlier in the dogs' lives and in more severe manifestations. 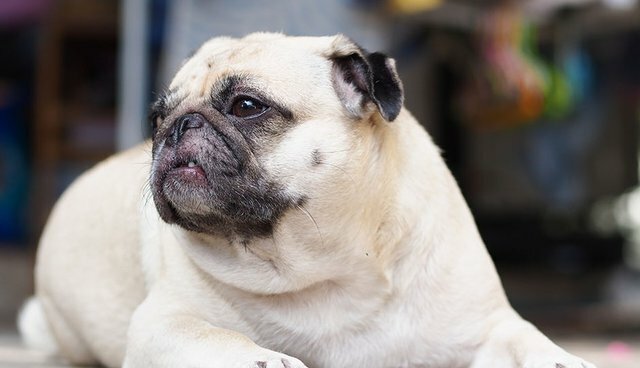 In addition to the internal problems with the structure of a dog's skull and nose, brachycephalic breeds can also develop issues with their skin and eyes. The skin begins to fold over the pup's face, creating layers that trap moisture and create the perfect environment for bacteria and yeast to grow. These lead to infections and inflammation in the skin. The flat skull also causes the eye sockets of the dogs to become shallow, forcing the cornea further out and leaving it susceptible to ulceration, dryness and direct trauma. 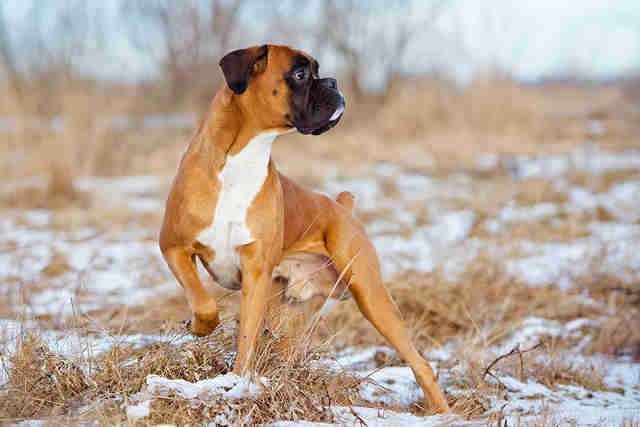 If a dog develops BOAS, there are treatments available that often include some form of surgery and/or sedation, which can be harmful for the pup. Sometimes the dog will even have to have assistance with breathing and receive oxygen supplementation. The best way to prevent this is to stop purposely breeding dogs to give them a certain appearance, especially a flat face. In fact, some veterinarians have called for bans on breeding these dogs in attempt to eliminate BOAS altogether. By encouraging the end of breeding of brachycephalic breeds, we might ultimately end up with healthier dogs and fewer pups who wind up in shelters.